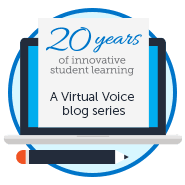 This is one of several posts celebrating Connected Educator Month during the month of October. October 20th is National Day on Writing and we are joining The National Council of Teachers of English to celebrate how writing helps us connect. Join the #WhyIWrite and #CE15 discussions on Twitter to share your thoughts! I taught Language Arts and English for many years. I write for so many reasons. I write to tether intangible emotions to something as concrete as words. I write to inspire, to grow, to change. I believe that language is a powerful tool and shaping it into phrases to share my story makes a difference. I write to share my voice, my excitement, and my soul. I write because I sometimes feel like I’m not strong enough or big enough to hold the weight of the words swimming inside of me, and if I place them on a page there is such a great wave of relief that washes over me. I write to find solace that maybe others are thinking exactly what I’m thinking, or maybe they aren’t and they needed to see a different perspective. I write because I want my students to see that writing can be beautiful and more than that, writing can be timeless. When we write our stories down for others to read, we are not just sharing them with those around us, but all those that are to come. How powerful is that to know your words can last? Your voice can sustain, your soul will remain in the words you write? I used to do a writer’s circle with my students. And if you’ve never done one, it’s a great strategy to encourage students to write. The beauty shared in my students’ writing in that writer’s circle is something I will always cherish. A writer’s circle is the opportunity for students to share work they have written with their peers. It is judgment free, and just time to embrace the love of writing. 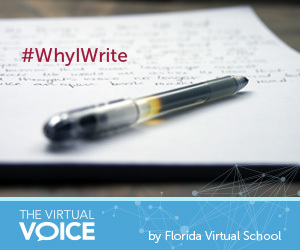 In honor of National Day on Writing, why not try encouraging your students to share #WhyIWrite? Then get them together for a writer’s circle and listen to their voices and their souls emerge in their words. 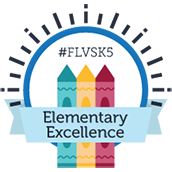 This entry was posted in Educator Edition, Full Time Edition, Homeschool Edition, Parent Edition, Student Edition and tagged #CE15, #WhyIWrite, Connected Educators Month, creative writing, Creativity, English, Language Arts, National Day on Writing, Secrets to Student Success, Why I Write, Writing on October 17, 2015 by Guest Blogger.